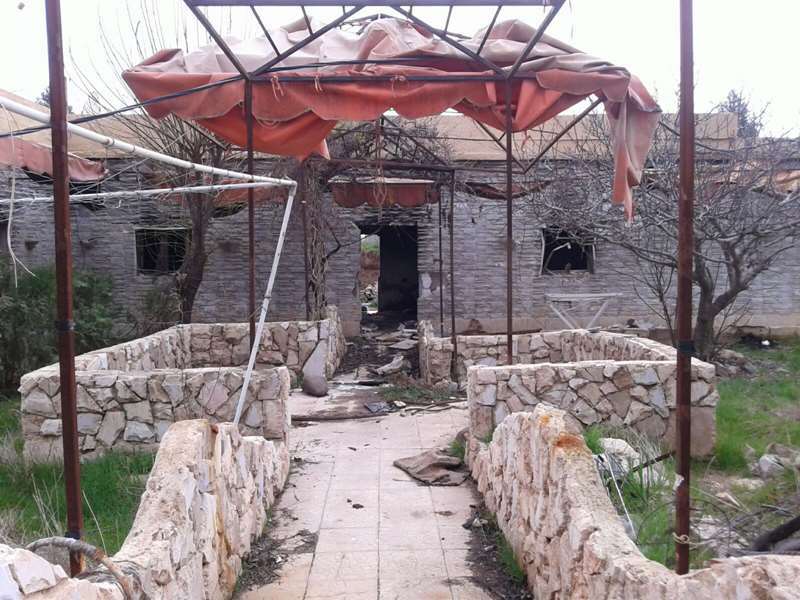 On 22 February 2015 fighters of the jihadist group Islamic State, known as ISIS or Daesh, attacked villages along the Khabour river in northern Syria. They kidnapped 230 Assyrian Christians. 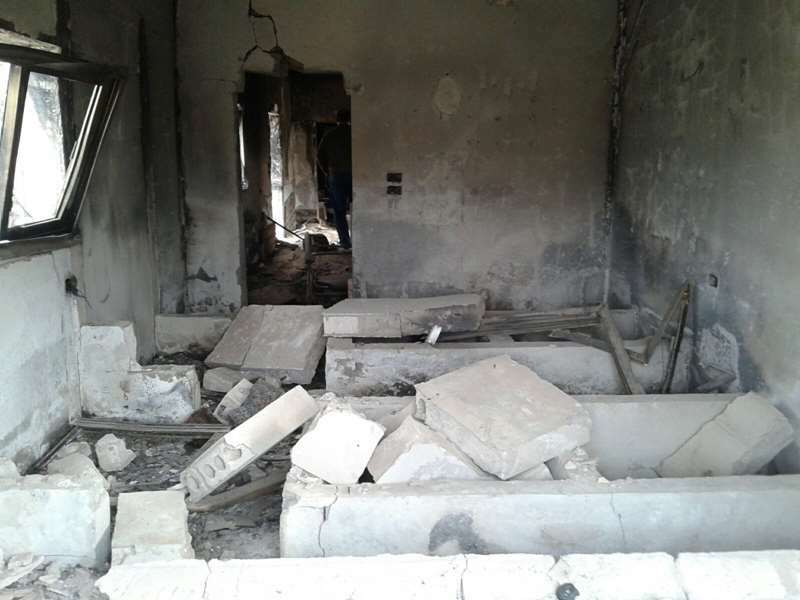 Among those seized were Caritas Syria’s Caroline Hazkour’s three children: Tamras, 21 years, Josephine, 23 years and Charbel, 17 years and their grandfather, later released due to his ill health. Caroline Hazkour continued to work for Caritas while her family was kidnapped. Tamras: We were at our home in our village for a few days of study break. Our parents had stayed in Hassakeh City. There had been threats earlier over the Mosque’s loudspeakers that all Christians must leave or convert to Islam. Nobody listened. It had been calm, we thought we were protected. Gunfire and mortars began at 3.15 am. By sunrise, we saw soldiers on the other side of the river. We thought that they were Kurds. At 7 am, when they entered the village, we knew that it was ISIS. There was chaos. People were screaming, children crying. Josephine: I was separated from the others and was being held by an ISIS soldier. He told me that I was for him. He said tonight we will be together. He was laughing, this scary laugh. My mind was full of all these terrifying ideas. Tamras: From home, I could see them rounding everyone up, splitting up the women from the men. I had a shotgun in the house. I could see only two ISIS men. I took the gun and waited. I saw that one of the ISIS fighters would be passing in front of the house, giving me a clear shot. Then I saw the second ISIS man had collected the children. He had my sister too. I have played this moment over again in my mind. If I shot one of them, the other might kill the children. I hid the shotgun. The ISIS soldier came and took us away. They were shooting in the air. One of the ISIS fighters was yelling that if we moved, we would drown in our blood. I saw my brother and sister crying. It was hideous that I couldn’t do anything for them. The villagers were led away. I was kept behind to help an old woman. I was the last one in the village. Looking around, I said to myself that this is the last time I will see my home. Arriving at the river, everyone had been made to kneel by the bank. The fighters were shouting that they’d take the women as slaves, kill the men and send the boys to be trained as jihadists. This must be the end, I thought. They would shoot us and throw our bodies in the water. After a while, we were taken across to a house, women in one room and men in the other. We were made to kneel, our faces to the wall, our hands behind our heads. I could see the women. They were crying, they were terrified. I felt helpless. It was a hard moment. Caroline: We were in Hassakeh. I had to work late at Caritas. When Martin, my husband, received the call that our children had been held, he said he couldn’t leave them to this fate. I wanted to go too, but he refused to let me go so I stayed in Hassakeh. He needed me here. He promised me that he would bring back our children. The next day when I found out that it was ISIS, I couldn’t breathe. Tamras: I could still see the village. ISIS soldiers were laying bombs to blow it up. Then I saw two fighters bringing a man to the house. It was my father. My brother and I were in tears. Dad asked the guard if he could hug his sons. He put his arms around us and told us that God will save us. Josephine: My father was next to me. I felt safe. Tamras: They packed us onto a truck. It was uncomfortable. Breathing was difficult. As we drove, we came under sniper attack. It was probably Kurdish rebels. Bullets were flying overhead so we were all lying down, our bellies to the floor. They took us to an ISIS area. We were split up, men from women. Josephine: I told my father about the threat made by the ISIS soldier. Dad argued with the commander, threatening to kill me and himself unless I was allowed to stay with him. In the end, I stayed with dad. The man who had threatened me was in the house. I was hiding under the blankets. Nobody knew I was there. I thought I was dreaming. I closed my eyes and said that when I opened them it will all disappear. I kept doing it but when I opened them, there was always ISIS. I closed my eyes and said that when I opened them it will all disappear. I kept doing it but when I opened them, there was always ISIS. Tamras: None of us slept. We were too frightened. Every 15 minutes, soldiers would come kicking and shouting that they would butcher us. Two Kazaks trained their machine guns on us when we started to pray. Their commander intervened. He told his men to treat us well. That we were civilian hostages. 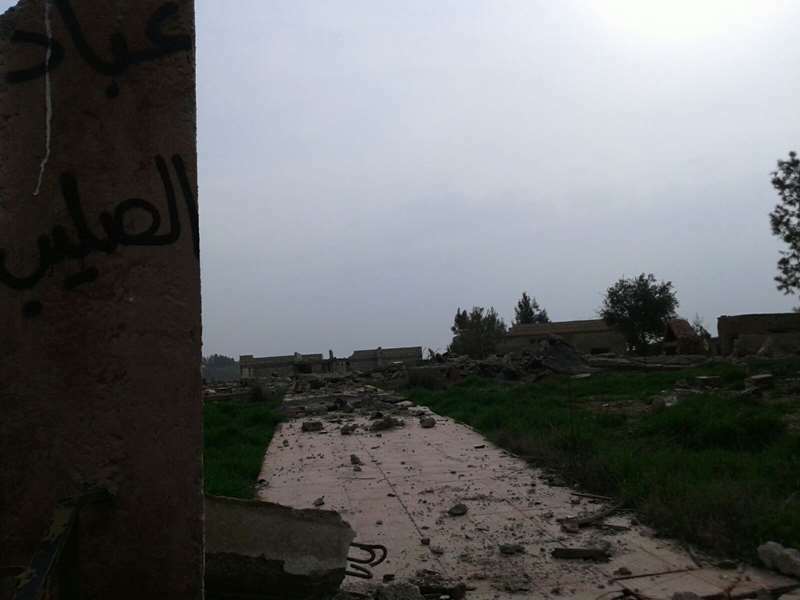 Next, we went to Al Shadadi, an ISIS town near Hassakeh. From that day on, we never saw our sister or any of the women and children. We were locked up in a closed house. We stayed there for eight months. Josephine: To be killed is not the worst. For women and girls, there is much worse. After about two months, the wife of the ISIS commander came to see us. She wanted to see the virgins. Then the boss came with two soldiers. They told the girls to come with them, using their guns to pick out the virgins. The mothers started to scream and hit themselves. They cried that they would kill themselves. I didn’t have a mother there. They took only me and another girl called Caroline. The soldiers were arguing over which one of us to chose. They choose her. I told her that she would not be judged if she killed herself. That was the last I saw of Caroline. She was taken by the commander. We heard she has given birth. She is still being held. She was 15 years old. Inside of me is a sadness. I have a scar in my heart. Tamras: The mental side was difficult. You never relaxed. You were tormented by what they had done with the women. After three months they let us exchange letters with them and we knew that they were safe. I started to collect olive pits from the other men. I pierced them with electric wire and using thread from a pillow, made a rosary. ISIS men had confiscated all our crosses. I kept this one secret. It would be a present for my mother. They told the girls to come with them, using their guns to pick out the virgins. We tried to talk to the guards. Many were well educated. There were Iraqis, Tunisians, Israeli Arabs, Chinese, Uzbeks, Russians, Iranians, Lebanese, Syrians, Somalis, French, Germans and Americans. We saw a lot of Turks. They seemed to be genuinely motivated by their religion. That, and power. What shocked me was how power crazy they seemed. Once, I had to walk through Al Shadadi to visit the hospital. I saw them selling human heads. There were between 10 and 15 heads. They were labelled, with different prices for a soldier, a Jew or a Christian. And people were buying them. Caroline: Early on, I decided that I needed to be strong. I felt I could be a symbol for others so that people going through the same problems would receive strength. The people who come to Caritas had lived through this pain. I now knew what it meant. In all that time I couldn’t sleep. Bad thoughts were invading my mind. I lived in fear. My family were with killers. That despair is still with me, inside of me, something I will never forget. I pray to God for his mercy on these ISIS soldiers. It was very difficult on holidays and birthdays. I put up the Christmas tree. I put up pictures of the family on the tree. I bought them gifts. I waited but nobody came. Tamras: The ISIS judge said that we were going to be offered for ransom. They moved us to Raqqa, the capital of ISIS in Syria. They put us into a prison, underground. We were living in the cells. One day they took six of the prisoners away, including my father. He said to be strong for your brother. He was going to help with negotiations. If he didn’t come back, he asked me to look after the others. Caroline: The video showed six men dressed in orange. The internet connection was bad so it was taking a long time to load. It was agony. Three men were made to tell their names and their village, one of them was my cousin. The ISIS soldiers then shot them in the head. The other three men in orange were brought next to those who’d just been killed. When I saw my husband, Martin, I was in shock. He said his name and his village. The film cut. Martin: I knelt next to the dead bodies, the killers behind me. I said my name and my village, as our friends had just done. I thought about Caroline, my wife. I couldn’t bear that she would have to watch this. However, they stopped filming. They made us pick up the bodies. It was difficult because of the blood. I felt sorrow for my friends. They were peaceful people. One, a doctor, had helped us all. The ISIS men were singing to songs on the radio as if nothing had happened. We found that one of our friends was still alive, he was also my cousin. We told them. They argued over whether to shoot him again. In the end he will die when he is buried, one said. So he was put in the hole with the others and covered in dirt. We went back to the isolation cell. One of us broke. He wanted to convert to Islam to save himself. I told him that all we have is our faith. I took some bread and water, prayed over it and shared it. Tamras: When I saw my father two weeks later, I was shocked. Before he’d had a beard like all of us prisoners, now he was clean shaven. I wondered if he was dead. They made us pick up the bodies. It was difficult because of the blood. I felt sorrow for my friends. Martin: When I was taken back to the prison in Raqqa, I saw my youngest son on the floor. He was having an asthma attack. I hugged and kissed him. I managed not to cry. I didn’t want him to see any weakness. They asked me where were the missing men. I didn’t want to say that they were dead because I wanted everyone to have hope. Caroline: I received word that Martin was not dead. I now began communicating with ISIS to negotiate the release of all the villagers. I had a very strong faith. I knew they would come back. Tamras: Raqqa was being bombed. We were being kept in prison cells. One day the ISIS guards started to kick the cell doors. They said dress lightly, that we were being taken to a safer place. We were blindfolded and led out. We started to panic. When we took the blindfolds off, there was my sister. It was the first time I had seen her in a year. They told us that we were being taken to friends. They were laughing. We thought we were going to be killed. They put us on a bus together, men and women. There was an ISIS soldier. Then after two road blocks, another man came onto the bus. He was unarmed. We reached the last roadblock and the ISIS man got off the bus. The unarmed man turned around and said, “I swear to you that you are going home.” He took out a cigarette, strictly forbidden by ISIS, lit it and took a puff. We knew it might be real. Martin: I just wanted the bus to move faster so I could see my wife. Tamras: I was still scared, but happiness started to spread across my face. I was allowed to phone my mother. I heard her say, “I’m waiting for you”. Then finally, I believed I would see her again. We would see freedom again. Martin: The release was the greatest day. I had won the war against their minds. I had kept strong because I had patience and faith. ISIS had said that if we didn’t join the Muslim religion we would die. We never renounced our Christian religion, we never gave up on our faith. Caroline: We were dead and now we are alive again. We’ve never been stronger. We take it day by day, appreciating the small things, especially each other. On 22 February, 2016, Caroline Hazkour’s family were among the last remaining of the 230 hostages to be set free. It was one year to the day after being kidnapped. They have continued to live, study and work in Hassakeh, Syria. 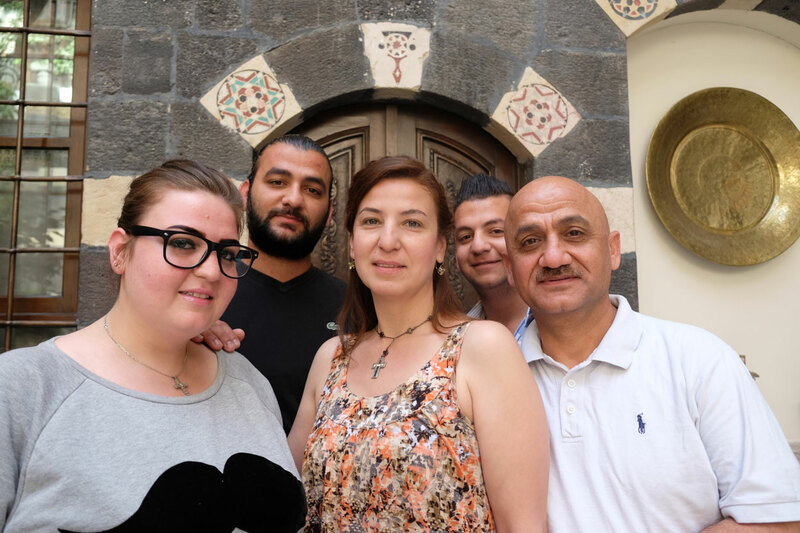 Caritas Syria’s Caroline Hazkour (front center) with her three children: Josephine (front left), Tamras (back left), Charbel (back right) and her husband Martin (front right).